If you are one of those people with a good aesthetic sense as regards home furnishing and interior decoration, you may also be passionate towards collecting valuable antiques from all over the world. In this regard, the home furnishing often plays a primary role. This guide by AmerAdnan® will tell you about the types of antique tables you can buy and how each of them will cover your requirements. The tables are among the oldest kind of furniture and can be utilized in a number of ways. They come in many different styles however most of them share the same basic features. The tables mostly consist of a flat surface and four legs however their shapes and designs vary with different styles. The oldest tables were created in Rome, Egypt and Greece. Please read below to find out about the types of antique tables recommended by the leading interior designers in Pakistan and figure out the one that best suits your aesthetics. How to determine the value of antique tables? For the neophyte buyers, it is usually the most difficult thing to figure out whether or not the table is really antique. Different furniture experts around the world determine the antiqueness and market value of tables by keeping in mind many different factors. According to the antique furniture retailers, anything that is more than 50 years old is considered a part of antique family however the most valuable antique furniture can be as old as 100-150 years or even more. 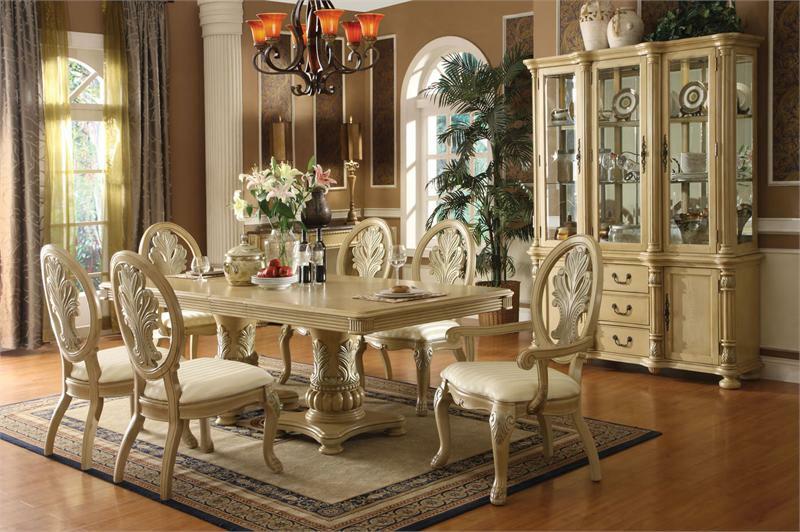 The condition of a table also plays important role in determining its value. As per furniture experts, 25% of the furniture’s value is dependent on its condition. Another key factor that determines the value of an antique table is its rarity. The oldest and most valuable tables are crafted by skilled artisans. The last but not least thing is the desirability of an antique table. Here we’ll find the simple rule of supply and demand. If the antique you have is available widely in the market, it would be least desirable whereas the one available rarely would be most valuable. Butler’s Table: The Butler’s table comes from the 1700s in England. This rare antique comprises a tray that is held on the top of a holding stand. The holding stand of a butler’s table has slots which are there for holding the table safely. Butterfly Table: The butterfly tables were originally manufactured in the late 1700s to 1800s and were originated in the United States. The butterflies were made in a drop-leaf style and had a couple of braces that looked like the wings. These wings-like braces were spread open and held the surface of the table. Console Table: The console tables originated in France in the late 1600s. They were long and narrow tables which were attached to the wall. They had two legs which were secured to wall with the help of brackets whereas some of them had an undecorated straight side that went straight up against the wall, holding the base securely. Tea Table: The tea tables originated in England in 1700s. They were small and were manufactured with circular or rectangular tops. These tables were foldable tables that could be conveniently stored without consuming any extra space, when not in use. The tea tables were utilized for special events and parties since the tea was one of the most expensive things back then.